The beautiful city of Vancouver is known for its land of mountains, ocean, beautiful scenery and unfortunately bed bugs. Incredibly vibrant and multicultural in its feature, the place is home to a variety of critters including mice, rats, and chafer beetles. Active during all seasons, it is a must to take some effective measures that will help you get rid of these pest problems. This problem may be quite common, but they are dangerous for your personal health; carrying around various contagious diseases they will push you out of your comfort zone. 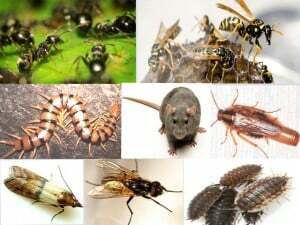 What are the biggest pest problems in Vancouver? If going by the most complaints by homeowners, the largest increase in pests are rats, bed bugs, and wasps. If these are not dealt with earlier, their multiplication only increases the infestations. There are many ways to keep out rats from your home, the main one being to close off all possible entry points to the building – whether on the ground or via tree branches near the house. The BC govt. has a good list on dealing with rats here. But what about the ones already in the house? Then it’s time to call an expert exterminator in Vancouver for safe rat removal solutions, because poisons could damage pets, and other nearby animals. According to A COMPAS Research survey of Canadian Health Inspectors, reports of bed bug infestations have risen from 2011-2014 anywhere from 20 to 50 percent and have an average annual increase of eight per cent. Being one of the greatest nuisances, bedbugs will spread a lot of diseases and this is because of the direct interaction with humans. These skin-biting creatures are 1/4″–3/8″ long; feeding off dead human skin they leave red marks on your body. Approximately laying 200 eggs in their life cycle at a rate of one to five a day most of the people don’t even notice them, as they do this at night. Downtown buildings often require our expert bed bug exterminator in Vancouver BC – especially in the hotel and hospitality industry. There has been an increase of a rodent and rat problem in Vancouver. Mice and rats are yet another irritation to people and if they have found a way to get into your home, they can cause great problems. They roam around the attic and can spread diseases through their urine and droppings, and they can gnaw away at your walls and other items. 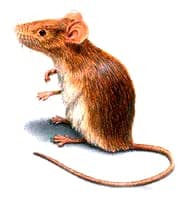 Besides in homes, these rodents are common in commercial or industrial buildings such as warehouses and office buildings. They especially need to be keep in control at restaurants and other eating establishments, hotels, and commercial kitchens of all kinds in order to keep in line with BC food-safe laws. Offering great pain to the victim, wasps are of great use to the garden. However, when they get into the house or yard, and bug your pets, it can be of great annoyance. wasps or hornet nests should only be removed by a professional, especially if you think pesticides are chemicals need to be involved. If you are renting, this should be the responsibility of the landlord to arrange for a pro. Call for our Vancouver wasp control services such as wasp nest removal, and extermination of wasps or hornets from the home or business. Commonly known as social insects the damage that they cause varies on the species. Though they cause little damage, they are mainly a nuisance – getting into your food, or other places. There are different types of ants in Vancouver area. Indigenous to many parts of the world carpenter ants are large in size. These wood destroying insects cause considerable damage to your home and when swarming they look similar to termite swarmers. Even though they are not detrimental in that they are not likely to bother people or pets, nevertheless, they may contaminate food with their droppings. 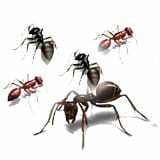 These ants have the potential to reduce moisture and they can be found in rotten wood in and around your home. Fire ants are also a new growing problem in Lower Mainland. If you need a Vancouver ant exterminator, just call us. A significant health hazard is caused because of cockroaches. Carrying disease-causing germs, they are a big irritation to allergy sufferers. Keep your home safe from these hard-to-kill pests. Call for cockroach removal. 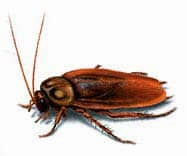 In Vancouver, restaurants have been closed down by the city for sightings of cockroaches by customers, until a professional cockroach destroyer removes them and begins a management program. Don’t be caught with these pests in your home or business. This reputed Vancouver bed bug control company is highly experienced in providing professional bedbug destroyer services and defensive prevention measures. In fact, Avon Pest Control is one of few pest control companies in Vancouver that has a 100% success rate in bed bug removal – which could be the most complicated process. The best way to get rid of pests is to take up the services of a professional exterminator in Vancouver BC. Best bed bug exterminator in Vancouver BC with guaranteed removal success rate. Our commercial pest management programs service office buildings, hotels, apartments, and restaurants in downtown Vancouver. Our Vancouver office covers all the way into Fraser Valley – and includes Burnaby, New Westminster, Tri-Cities (Port Moody, Port Coquitlam, Coquitlam), Pitt Meadows, and Maple Ridge. If you’re not sure how bad the problem or infestation is, or just need advice on what kind of pest control Vancouver services you need that is safe but effective, then just give Garry a call for advice, or setup a time for a pest inspection at 604-805-0278.